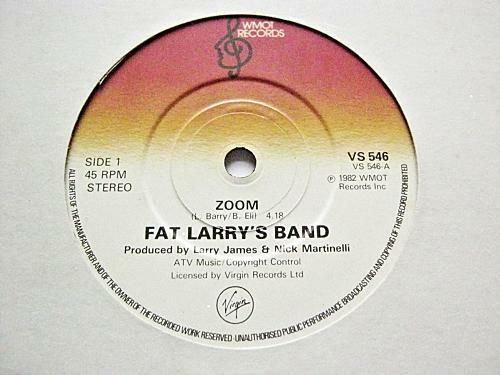 Contrary to popular belief, "Zoom" was not a one hit wonder in the UK for Fat Larry's Band - their 1976 debut single reached No.31. 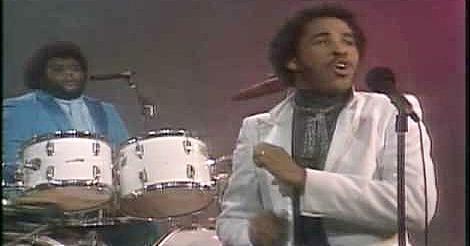 However, these were the only two major hits for the group from Philadeplhia. Released as the fourth single from the album Breakin' Out (the band's fifth studio album), "Zoom" entered the UK singles chart at No.40 on 12th September 1982, making it the third highest new entry that week. The Jam had the highest new entry at No.5 with "The Bitterest Pill (I Ever Had to Swallow)" and Adam Ant entered the chart at No.22 with "Friend or Foe". "Zoom" climbed from No.17 to No.3 on the Sept 26th chart, and then reached a peak position of No.2 on Oct 3rd, while another black music group Musical Youth were at No.1 with "Pass the Dutchie". The single was pushed back down to No.3 on 10th Oct by Culture Club's "Do You Really Want to Hurt Me". The band failed to follow-up the single with another hit. Their next single "Stubborn Kind of Fellow" stalled at No.83 in the UK. 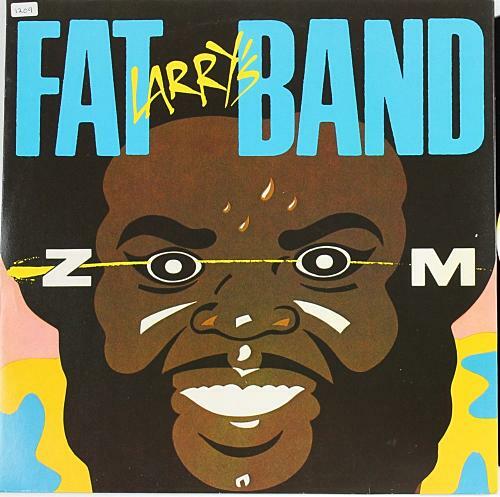 Fat Larry's Band were active from 1976 to 1987 and were formed by vocalist and drummer "Fat" Larry James, who sadly died from a heart attack on 5th Dec 1987, aged just 38. 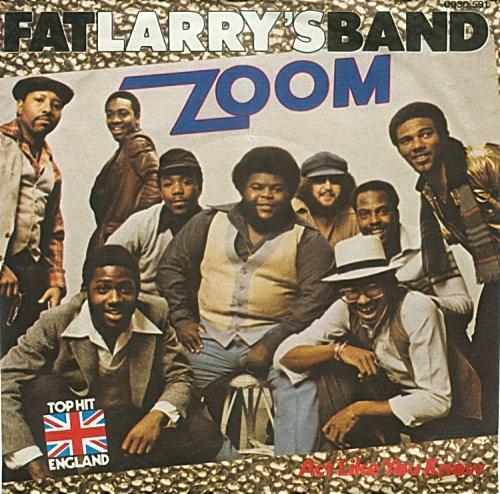 "Zoom" was played in the 1982 Christmas Special episode of Only Fools of Horse entitled Diamonds are for Heather. This is the German vinyl sleeve which has a Top Hit England stamp on the front.